"World class recording studios set in the picturesque countryside of Suffolk, England." 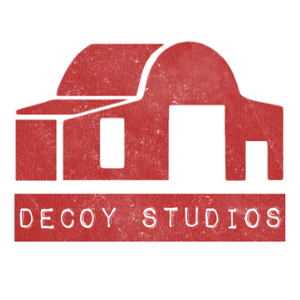 Situated just over an hour outside of London in picturesque Suffolk countryside, Decoy Studios combines high-end construction techniques, beautifully light spaces and boutique vibe to provide a truly unique recording experience. Decoy Studios is the creation of award winning mix engineer Cenzo Townshend who has been mixing hit records for the last decade and has been recording them even longer. Cenzo enlisted the help of renowned studio designer David Bell from White Mark (The Hit Factory, Air Studios) to come up with his dream studios. Decoy is a remarkable facility that offers two large control rooms, a booth (The Library) , live room and vast array of esoteric equipment, microphones and instruments to inspire both musicians and engineers alike. With an impressive list of clients, The Maccabees, George Ezra, Rat Boy, Ed Sheeran, Jamie T, Tom O'Dell, Skaters, The Vaccines, Passenger, Sivu, The Family Rain, and Kodaline, Decoy Studios is fast becoming one of the UKs most prestigious recording facilities.